I enjoyed using this genius bag so much that I bought one for my daughter and my sister-in-law. In this day of limited carry-on space, it's wonderful to have all my needed items in one place for easy access. No more digging under the seat to get something. I purchased this after a long flight overseas but I have since used it to travel in the US. It really keeps everything within reach and keeps you organized. I was carrying a LV tote and it easily slipped inside as we boarded and de-planed, My other half loves his too. Enjoy it!!! I had my magazines, kindle, phone, earphones, puzzle books and my Mac all within reach. This product was reconnected to me by a coworker who does quite a bit of long distance travel. I was heading to Hong Kong ( my first real long distance flight). This bag made it very easy to access anything you may need during the flight. You can also use this as your purse. I bought one for my friend who was traveling with me . She travels quite a bit and was also happy with this bag. I feel Grommet had the best price and by buying 2 I had no shipping which was another reason I bought the bags from Grommet. I used mine for the first time traveling to Australia. Works as advertised. I love this thing. Just a note, you have to stow it during take off and landing. SO I had written a really long review explaining why But I was not logged in and urghhh. This is a good purchase. I am very pleased. because it fits my magazines, water bottle. 2 cell phones, a morphie and wireless card; makeup bag and heavy everyday wallet. The bag is high quality- feels good to the touch and the straps are wide enough. I will be checking out the rest of the collection of bags. This looks like it will be a great bag for my upcoming trip. 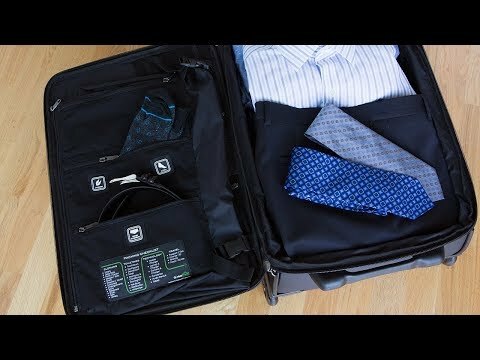 This is an absolute must for travel! If you fear leaving your belongings in the seat pouch in front of you then this is the bag for you. It so easy to set up and so convenient to keep all your tech and documents handy without the fear of leaving them behind. You can keep place headsets, tablets, pens, docs and most importantly your phone at the tip of your fingertips. No more scrounging in your bags on the floor or overheads. Loved it so much, I purchased one for my husband. I ordered one of these for a friend who was making an overseas flight. She loved it. Then I discovered that my 13-inch MacBook Pro would just fit in the main compartment. It is a really tight fit and probably doesn't give any protection. But I finally have a small bag that holds the laptop, cables, charger, hotspot and other essentials in the smallest bag possible. Wish the back sleeve had a closure on the bottom, but I love it anyway.